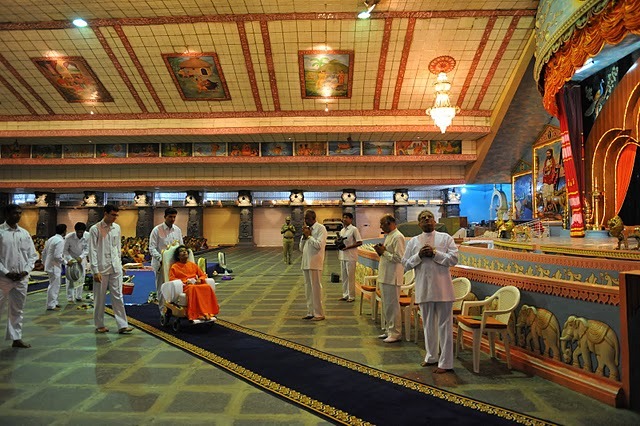 March 8th evening turned out to be a wonderful and blissful day as it was blessing day for the outgoing Maharashtra and Goa batch of Sevadals. 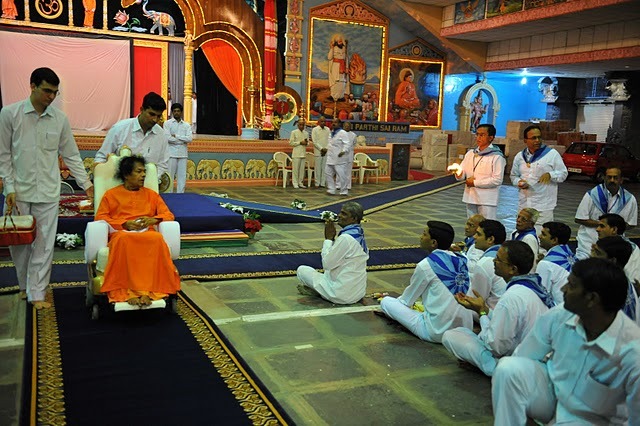 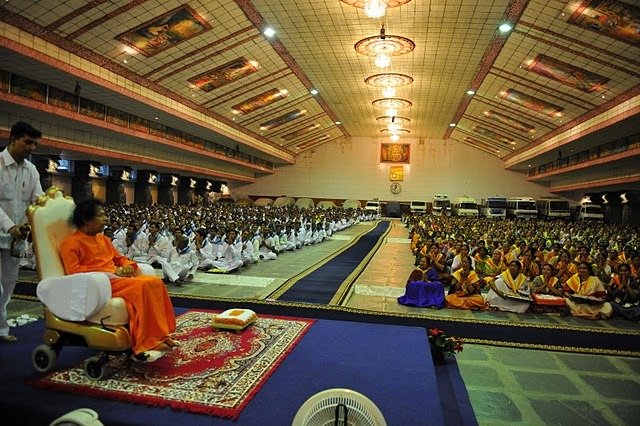 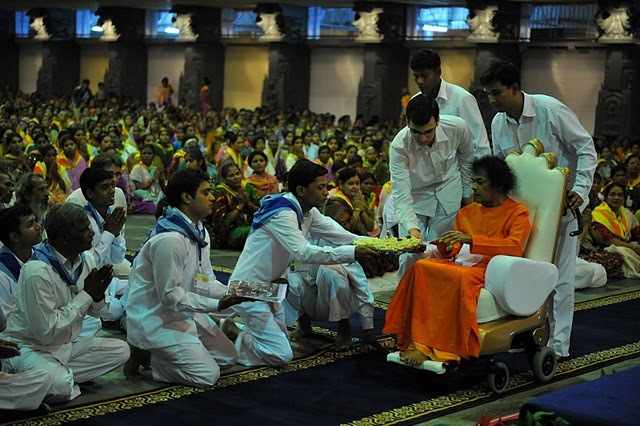 They were seated in the Poornachandra Auditorium, this evening, seeking special blessings. 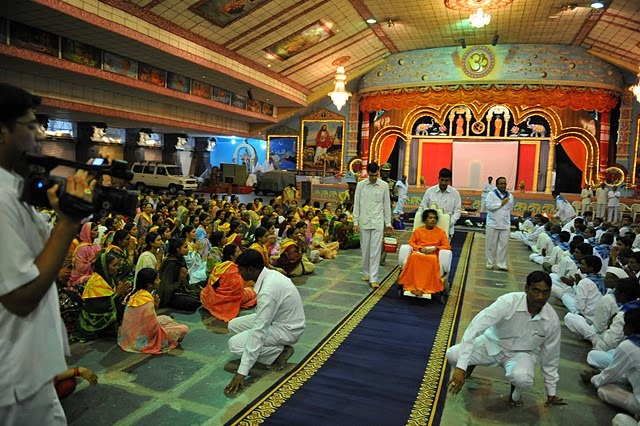 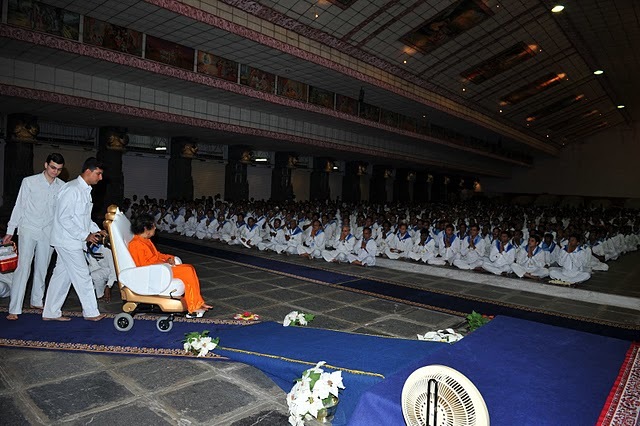 Bhagawan came into the auditorium at 6:37 pm. 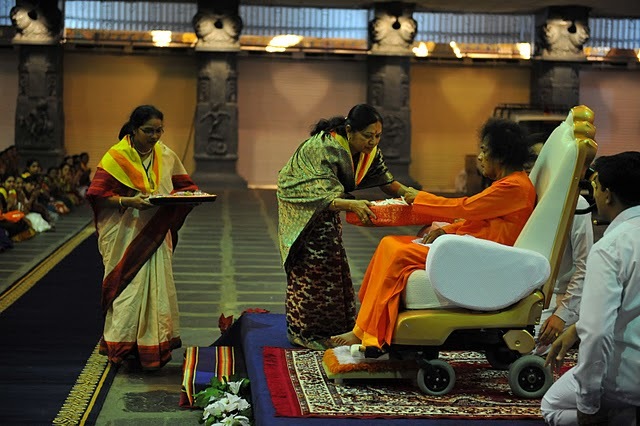 Even as He assumed the special dais, down the main stage, prasadam for distribution were taken to Him, both by ladies and gents separately. 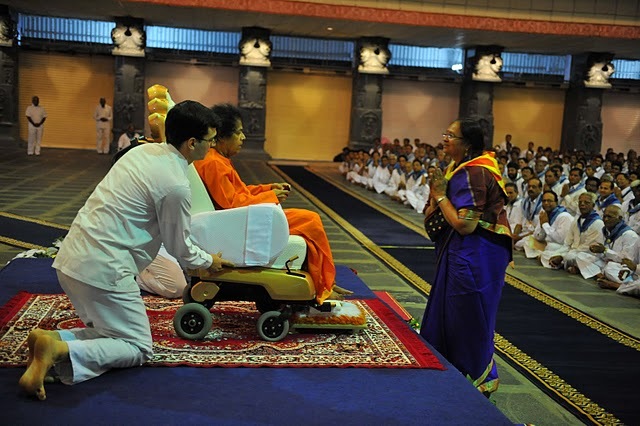 After blessing the same Bhagawan came down the dais, this time to move on the centre pathway that divides ladies and gents. 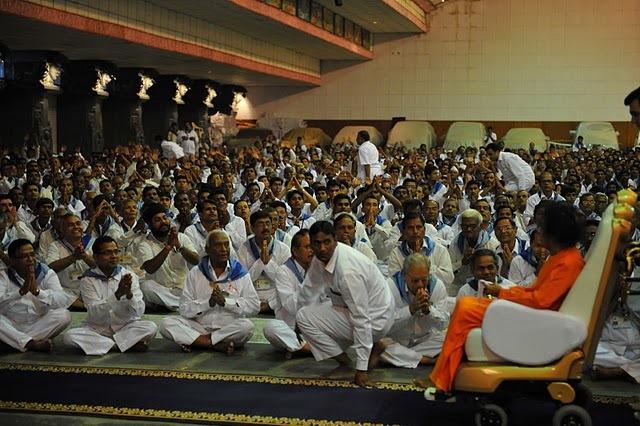 Excited bunch of Sevadals converged at the periphery; Bhagawan inched along, blessing one and all with His loving glance falling upon the ‘convergence’. 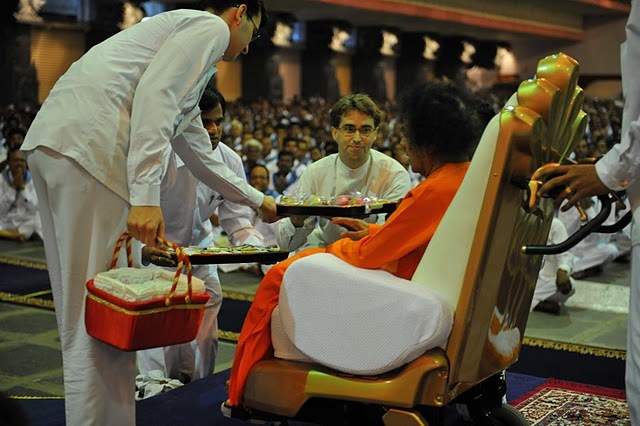 A bigger round was in the offing! 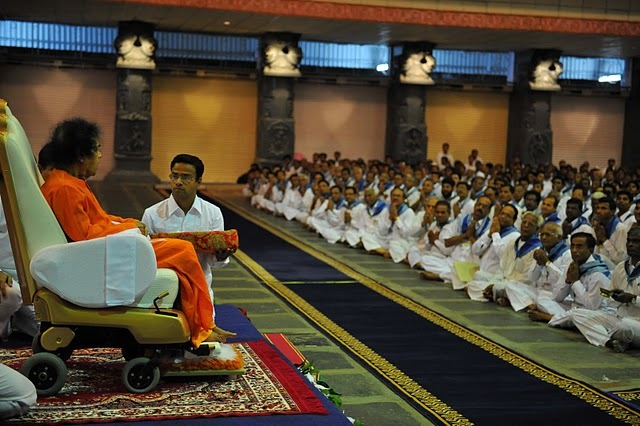 From the centre-line, Bhagawan moved on to the right, setting off for a bigger round, this time, covering the entire assembly of Sevadals. 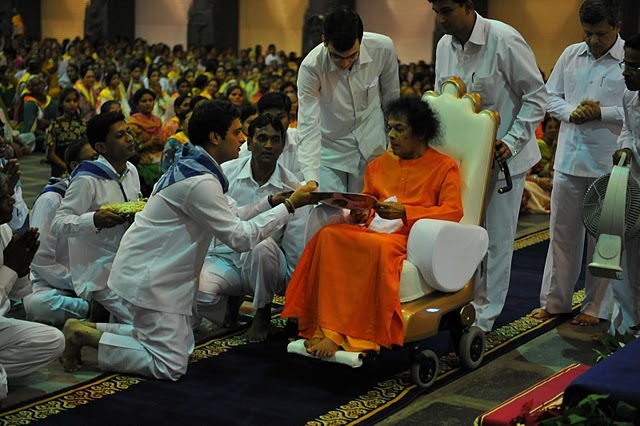 Completing this round, even as Bhagawan was preparing to leave, group representative offered Mangala Arathi. 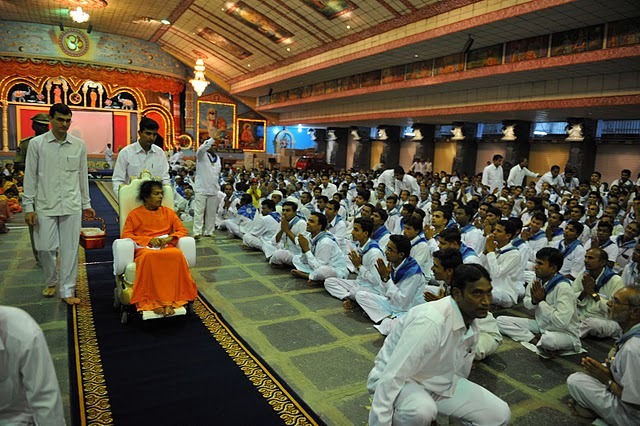 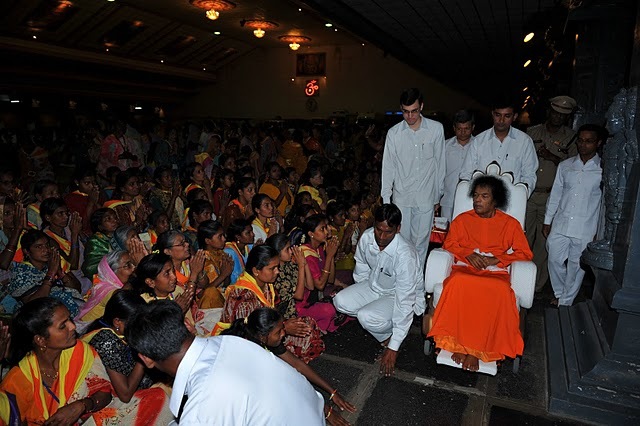 In the meantime, ‘a lucky few’ got to interact with Bhagawan.